Nothing is more beautiful than an azalea shrub in spring bloom. These easy-care shrubs come in so many colors it’s hard to find one that doesn’t suit your needs. Azaleas can be grown in nearly any garden, instantly adding interest and color to drab areas. 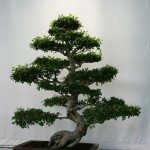 Growing and caring for these shrubs is easy. That being said, there are some things to consider when adding them to the landscape. To keep azaleas looking healthy, it is essential that you choose an appropriate planting location and practice proper azalea care. Azaleas actually look the most attractive when they are planted alone; however, mass plantings work well in larger areas, such as wooded sites. Since the flower coverage on azaleas encompasses the entire shrub, placing them in a background of conifers, such as pines, or other acid-loving plants will help set off their colors while minimizing their heavy effect. 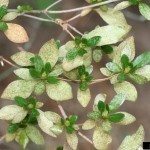 These shrubs should be planted in the spring, preferably within cool, lightly shaded sites. Full sun, especially in southernmost climates, can actually burn the leaves while heavy shade can deprive them of necessary oxygen, resulting in poor blooming and weaker growth. Azaleas have shallow roots and require a well-drained, acidic soil. In poorly drained areas, azaleas should be placed in raised beds. Azaleas can also make exceptional candidates for containers. It also helps to amend the soil with compost beforehand. To help conserve water, maintain soil temperature, and discourage weeds, mulch these shrubs with pine straw or composted pine barks and replenish annually. 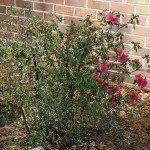 Organic matter added to the soil and an adequate layering of mulch will generally provide azaleas with sufficient nutrients; therefore, frequent fertilizing is often not required. However, if there are low amounts of nitrogen in the soil, applying fertilizer may be necessary in order to prevent a nutrient deficiency. Symptoms of deficiency in azaleas include stunted growth, smaller greenish-yellow leaves, or early leaf drop. Fertilizing of these shrubs should take place in late spring to early fall. 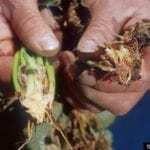 Although azaleas are generally free of pests and diseases with proper azalea care, common azalea diseases and problems do exist. Insects that can affect azaleas include lace bugs and spider mites. Lace bugs are more likely to target shrubs that are grown in areas of full sun. Petal blight, leaf spots, and root rot are common diseases associated with these deciduous shrubs. Placing azaleas in areas with good drainage and conserving water by applying mulch usually helps reduce the chances of plant damage due to these problems. To maintain a more compact appearance or simply to encourage bushier growth, trim azaleas after their blooming period has expired. Taking time to trim azaleas by cutting back the branches of these shrubs will also help renew overgrown plants. 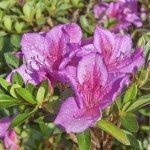 Keeping your azaleas healthy throughout the growing season with good azalea care will ensure an abundance of beautiful blooms for many springs to come.